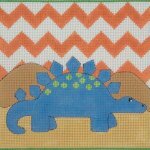 Children's Classics Books is a unique needlepoint canvas from Alice Peterson AP2892. 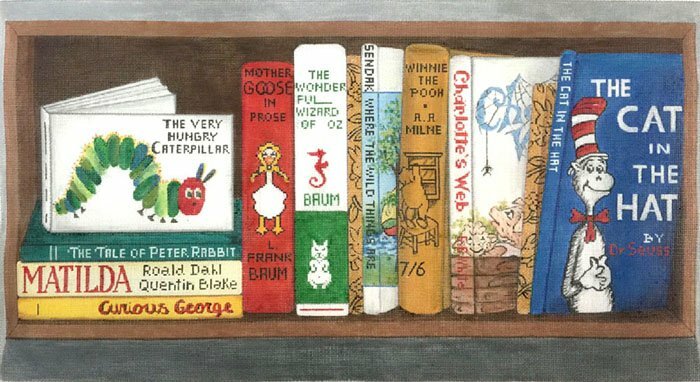 It features book spines of classic children's books lined up on a shelf. The design area measures 22" x 12". If you need stretcher bars we recommend a pair of 26" and a pair of 16" bars and some thumb tacks.